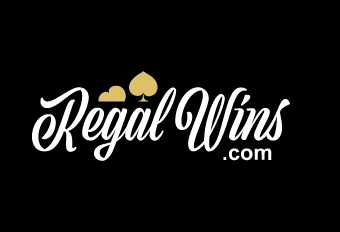 Welcome to our Regal Wins Casino Review where we go into detail, explaining our Regal Wins Ratings 2018. This is yet another casino out of the Daub Alderney Limited Casinos stable. This is a firm who are responsible for Spin and Win Casino and Magical Vegas Casino. This means that we should expect a high-quality experience from this site – as there is a wealth of skill and knowledge behind its management. The site is dual licensed, with licenses with the Alderney Gambling Control Commission and the United Kingdom Gambling Commission. This suggests that there is a lot to trust about this royal site. Let’s see what we discovered when researching our Regal Wins Casino review. The website does not grab the users’ attention and doesn’t do much special to keep them interested. It works well enough – but this is no unique selling point that will likely keep you longer than the extent of your welcome bonus. In terms of the cashier and the customer support, Regal Wins does just fine. They offer 24/7 live support and a range of ways to deposit funds. You can use your cars, a bank transfer, and some eWallets. There is a three -day delay on your withdrawals, followed by the processing times by the organisation receiving the funds. This makes the site pretty slow, but they do suggest that you can cancel the withdrawal in the three-day window and keep playing – this is good of them, right?! The minimum withdrawal is £10, and the maximum is £1000 per day, £2000 per week, or £3000 per month. These are not huge sums and adds to the sense that this is a site aimed at novice gamblers or those wishing to have a bit of a frivolous few minutes in a casino. Serious Gamblers are certainly not going to stay interested in for long in a sector that offers them much more than this site, a real downside in our Regal Wins casino review and our Regal Wins ratings 2018. The design of the site looks like your standard casino website. There is nothing to distinguish in amongst a crowded market. The navigation is simple, which is not to say that it is good – just that there is not much navigation to get lost within. There is a functional set of tiles that guide you to the most popular games and the design of the site is dominated by the branding of the latest game to feature on the site. Can you tell that our impression of the website in this Regal Wins Casino Review is one of disappointment? They do offer some distinctive search options, meaning you can search via theme or by the sort of jackpot you hope to win. This is a clever feature for those not so used to the world of gambling and are having a general explore of the site. The mobile version of the site works really well too, making the website compatible on most phones and tablets. There is no dedicated app, though this is probably irrelevant considering the quality of the mobile site – therefore did not play a huge part in our Regal Wins ratings 2018. The number of games on the site is a real plus in this Regal Wins Casino Review. There are all the choices you would expect, including blackjack, casino poker, video poker, roulette, scratchcards, and of course slots. The obvious exclusion from this list is baccarat, which is surprising considering the enduring popularity of this casino table game. The live games are also only in blackjack and roulette, so no live poker tables. There are some arcade style games as an added bonus – and this is a unique inclusion on the site – adding a something a little different. The game suppliers for the site include NetEnt, Barcrest and IGT – so no slouches in the software development market. You will find the slots you would hope, including Rainbow Riches and the enduring favourite, Starburst. All in all, we believe the casino does enough to warrant decent Regal Wins ratings 2018 for variety and quality. They are not mind-blowing in their originality, but they do enough to keep us interested and curious enough to keep returning to the site. So, if there is one way to attract new players it is through a generous welcome bonus. In fact, Regal Wins don’t really give themselves enough credit for this bonus package – something we have tried to redress in our Regal Wins ratings 2018. They offer a 100% matched bonus on your initial deposit. There is a maximum convertible amount to real cash, with is a £1000, which seems a much fairer wagering requirement than most. However, this is not where the welcome ends. They offer up to £500 in bonuses altogether on your first three deposits. This is a great way to prompt you to keep coming back. The site also offer a whole load of other features and promotions – a lot of them seasonal – but not always. They have a loyalty bonusback every week, where they reward you depending on your VIP tier. Your VIP tier depends entirely on how regularly you use this site. When you get invited to be part of the VIP exclusives, then you could win £5000 each month in a draw. In short, the Regal Wins ratings for bonuses and promotions should really go beyond the top mark! At first the site seems lacklustre, like they are not necessarily putting their heart and soul into winning and keeping new customers – which explains the less than perfect Regal Wins ratings 2018. The design of the site is ok, the variety of games alright… and so on. However, where the site really excels is in the bonuses and promotions they offer – then you realise that our Regal Wins casino review should acknowledge the commitment of the site to retaining customers.